La-La Land Records, 20th Century Fox and Fox Music proudly present the world premiere release of orchestral score from the legendary animated FOX television series FAMILY GUY. Composers Walter Murphy (TED 2, TED, AMERICAN DAD!) and Ron Jones (AMERICAN DAD!, STAR TREK: THE NEXT GENERATION, DUCK TALES) have fashioned some of the most exciting and complex orchestral music ever composed and recorded for television. Swing, Jazz, Broadway, Big Band and Film Score genres collide in expressive, colorful bursts that have become a hallmark of this long-running and classic comedy series. 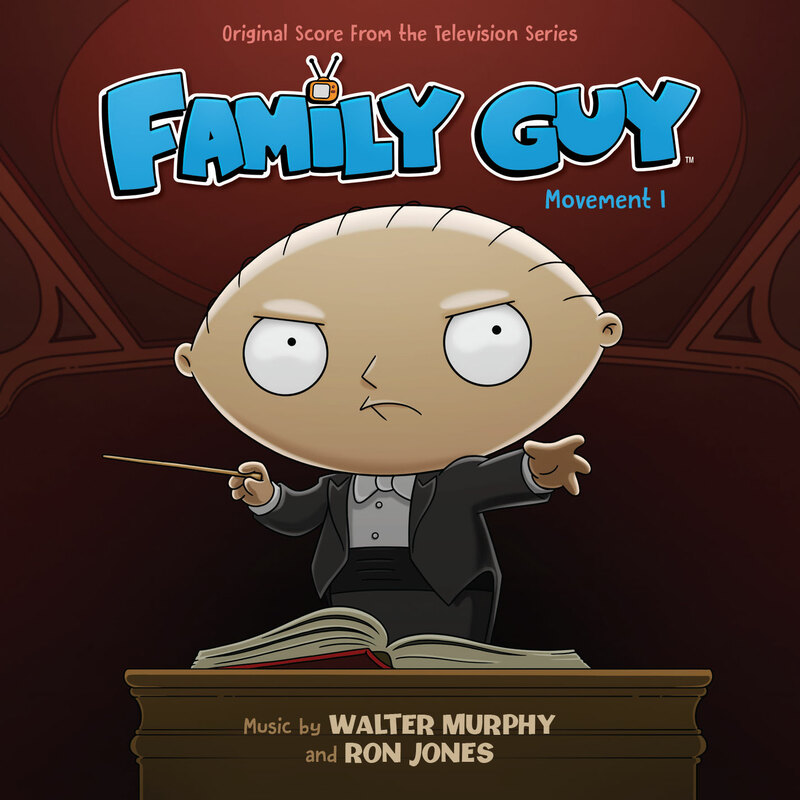 Produced by Dan Goldwasser, Walter Murphy and Ron Jones, and mastered by James Nelson, this special, limited edition release showcases suites of some of the finest Family Guy score cues from seasons 1-4, including such long-sought after tracks as the Chicken Fight music from “Da Boom” and the Sperm Wars cue from “Emission Impossible,” among many, many others. Exclusive, in-depth liner notes by writer John Takis include new interview comments from the composers and Seth MacFarlane, and the joyful art design by Jim Titus boasts a front cover with original art by one of the show’s animators – commissioned especially for this CD release! 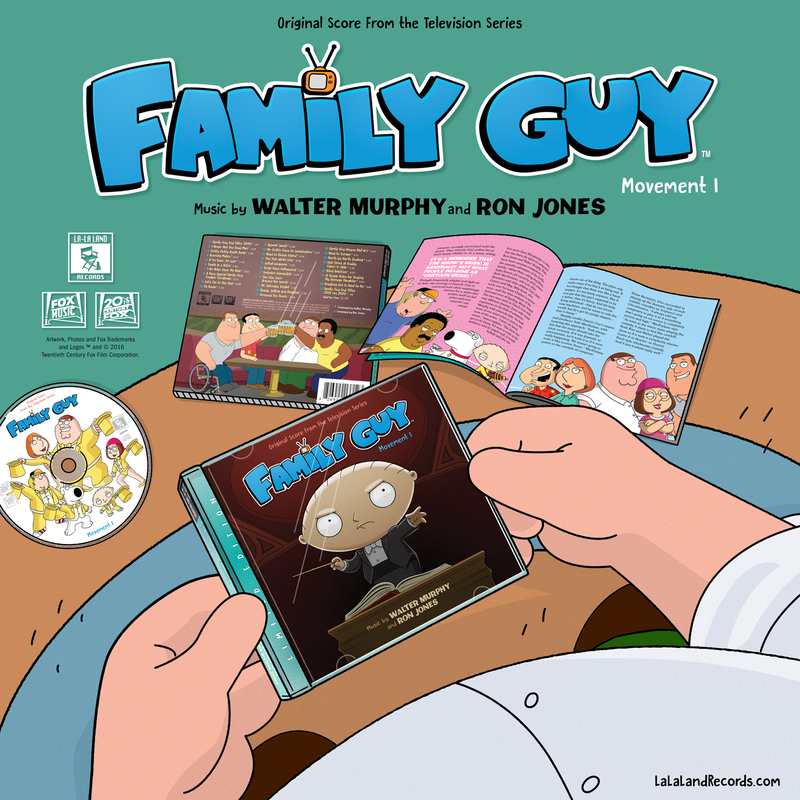 This is a limited edition release of 5000 units – and a must for FAMILY GUY fans and any film/TV music enthusiast!